This historical survey of the Crestwood neighborhood in northwest Washington, DC documents the native inhabitants of the area, the original landowners, the foundation of the neighborhood, and its development through the mid 20th century. Click here to download this item. The Humanities Council of Washington, DC has the right to display and distribute materials funded by HCWDC grants. Contact the item creator for reproduction rights. 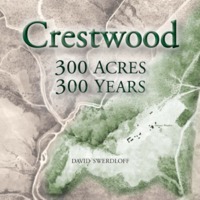 Swerdloff, David, “Crestwood: 300 Acres, 300 Years,” DC Digital Museum, accessed April 22, 2019, https://wdchumanities.org/dcdm/items/show/1742.